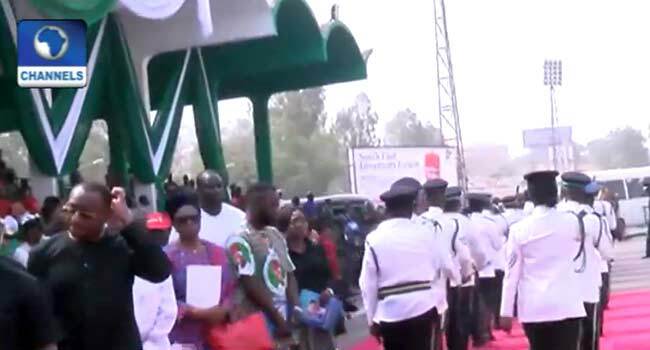 Government officials, family and friends gathered at the Michael Opara Square, in the Independent Layout, Enugu to hold a commendation service in honour of the former Vice President, Alex Ekwueme. 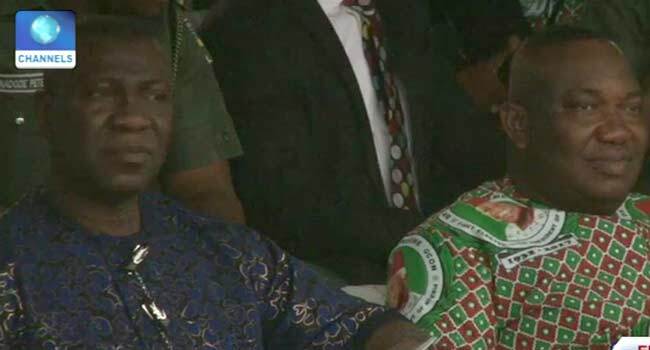 The week-long event which entered the third day had top government officials, family, friends and associates of the late elder statesman paying their tributes, and describing him as an irreplaceable gentleman of truth and honour. 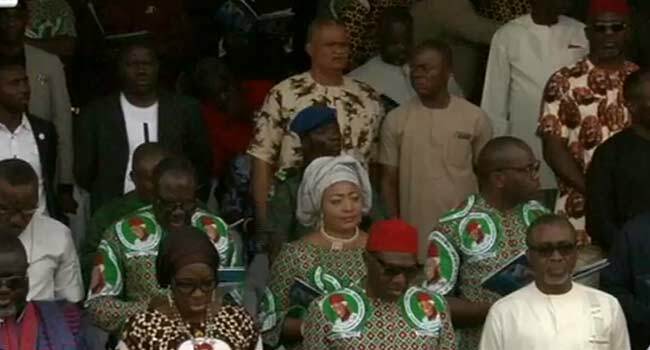 Present at the event are the governors of Abia State, Okezie Ikpeazu, Enugu State, Ifeanyi Ugwuanyi, Imo State Deputy, Eze Madumere, Governor of Sokoto, Aminu Tambuwal former Vice President, Atiku Abubakar, former Senate President Anyim Pius Anyim, Deputy Senate President, Ike Ekweremadu, former Governor of the Central Bank of Nigeria, Charles Soludo, Minister of Labour, Chris Ngige, former Governor of Anambra State, Peter Obi, amongst other top dignitaries. 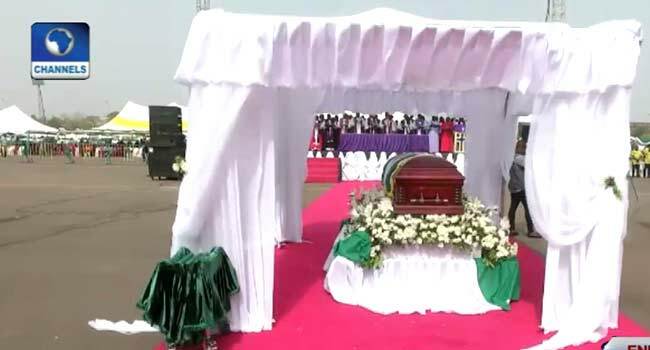 Dr Ekwueme’s remains arrived Enugu on Tuesday for the south-east commendations ceremony which was held in Enugu, before departing to his hometown in Oko Anambra state where he will be laid to rest on February 2, 2018. He died on November 19, 2017, at a London hospital after he was reported to have suffered a chest infection which left him in a coma in a hospital for two weeks. Born October 21, 1932, Ekwueme started his career as an architect after earning a bachelor’s degree in architecture and city planning, as an awardee of the Fulbright Scholarship, from the University of Washington in the United States. He later obtained a master’s degree in urban planning and also earned degrees in sociology, history, philosophy and law from the University of London. He also obtained a PhD in Architecture from the University of Strathclyde, before gaining the BL (honours) degree from the Nigerian Law School. In 1979, Ekwueme became Nigeria’s first Vice President, serving as deputy to Shehu Shagari, until 1983 when they were ousted in a coup. Over the years, he has played several roles domestically and internationally, cementing his status as a statesman.